As a stressed, 40 year old primary school teacher, Kate succumbed to inflammatory arthritis, later diagnosed as psoriatic arthritis. It seemed like every joint in her body was inflamed and in hindsight, she realised that she had suffered a few previous undiagnosed attacks over the years, but this was the most debilitating. Everything was extremely painful if not impossible; walking, sitting, and even sleeping. She was signed off work for a year. Thankfully with medication, her condition was brought under relative control. Soon after, 13 years ago, and with support from her husband, she embarked on a vegan diet and was able to slash her medication by more than half. Only recently has she discovered whole food plant-based (WFPB) diet, and its amazing restorative and disease preventing benefits. At last she is completely in remission and medication free. 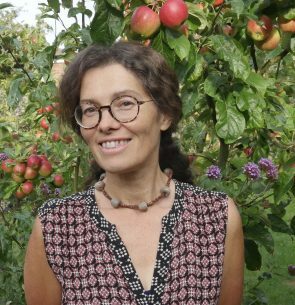 With a new lease of life, she is an active community member, founder of Hunstanton Community Orchard, graphic designer, ceramicist and community arts provider. She loves cooking and growing vegetables and has a small business making vegan food. She is a passionate advocate of plant-based nutrition and exercise. She is beyond thankful that there are plant-based doctors and other health professionals who are championing a WFPB diet so that other people need not go through the torture of psoriatic arthritis and other dreadful health conditions. This is your opportunity to come and ask those burning questions about plant-based diets to a multi-professional panel of doctors, dietitians and ‘patients’ who have successfully transitioned to a whole food plant-based diet. We will discuss personal and societal barriers to adopting this diet pattern and how to overcome them.